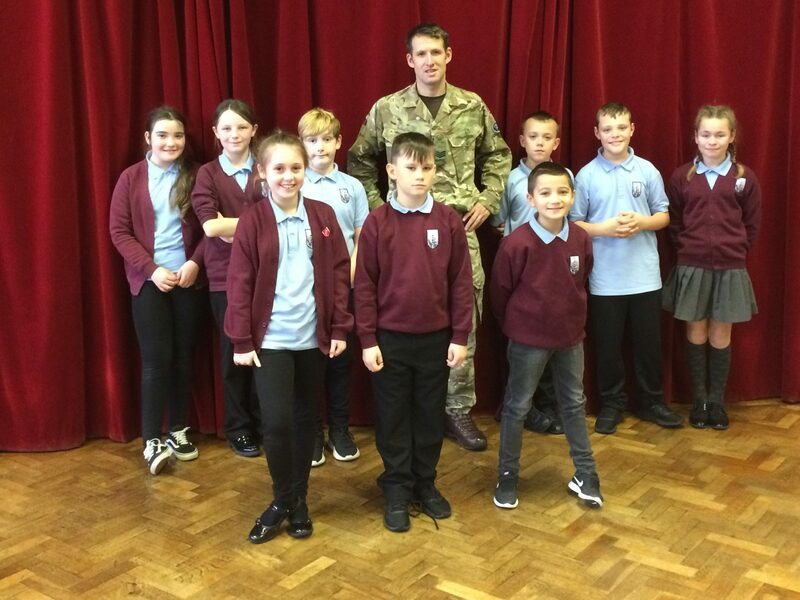 Sergeant Liam Mills from the Joint Service Mountain Training Centre based in Llanfairpwll visited three schools (Ysgol LLanfawr, Ysgol Rhosneigr and Canolfan Addysg Y Bont) over two days and spoke to over 150 pupils as part of their Blue Skies Inspired packages. He delivered three assemblies in which he explained the importance of working together with others as part of a team. 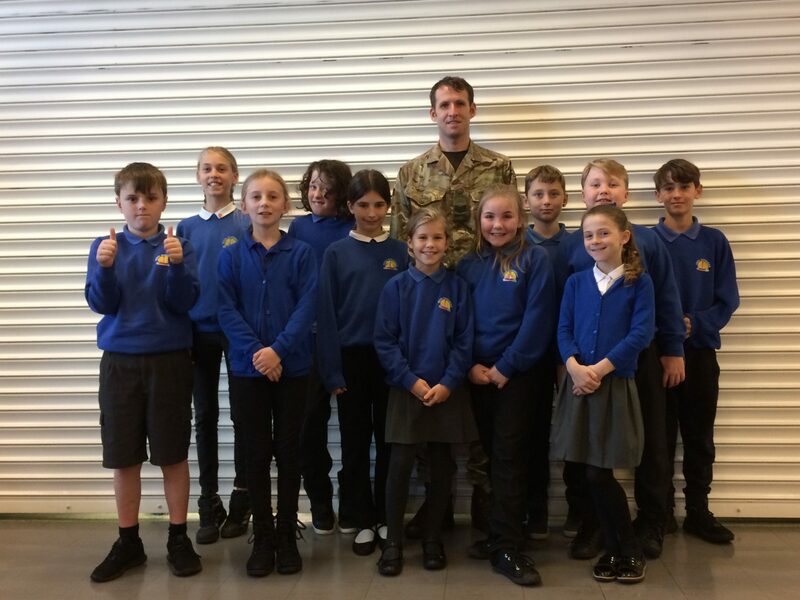 Sergeant Mills explained how teamwork was vital in his job role at JSMTC and got the pupils thinking about the parallels of his job and their everyday lives. 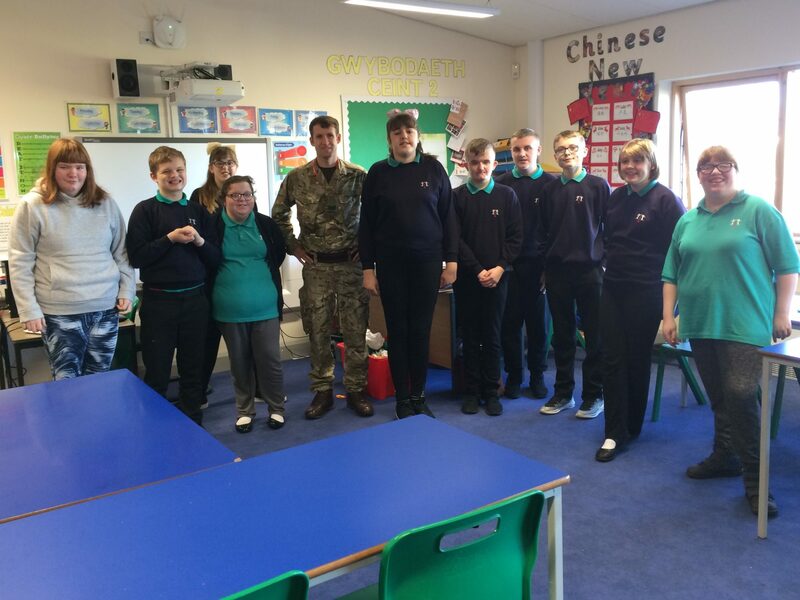 Sergeant Mills also ran three focus sessions for pupils currently working on a BSIP. 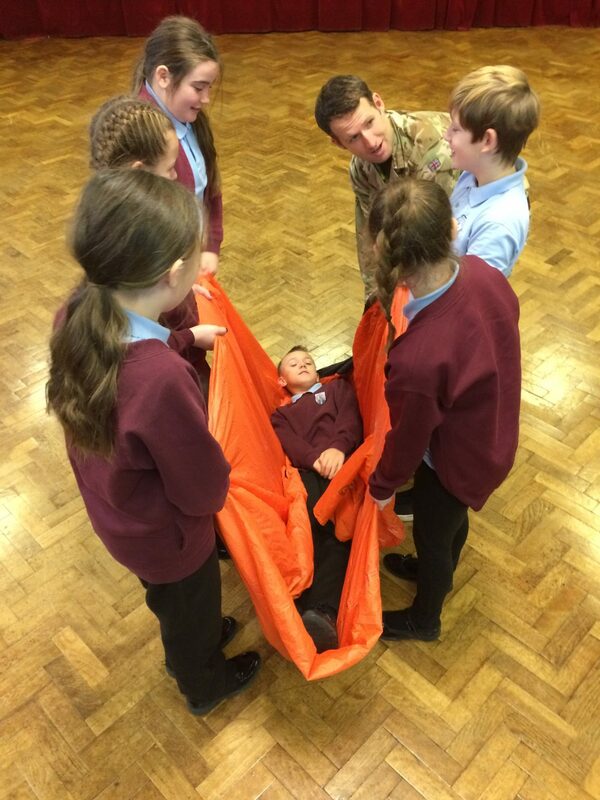 Sergeant Mills set the pupils several challenges, which helped develop key teamwork skills. 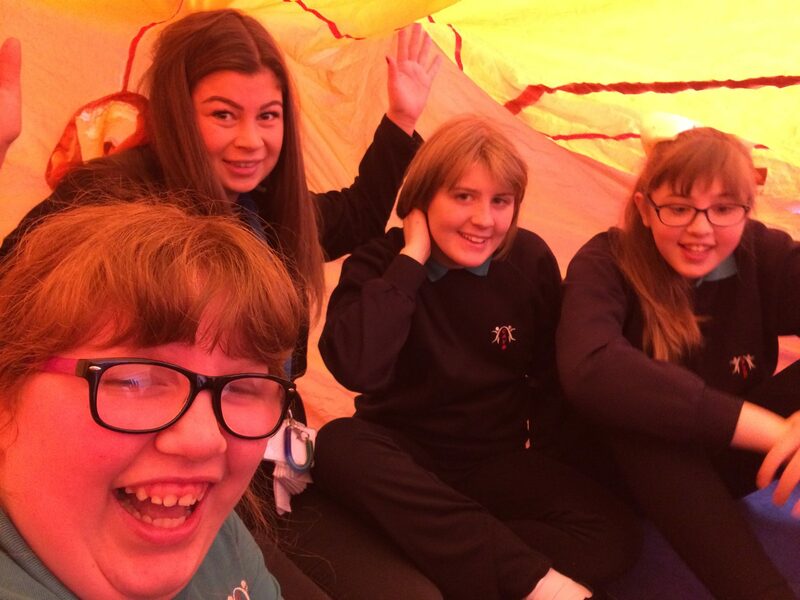 The pupils had lots of fun working together and getting hands on with some outdoor climbing kit.